What if I have bad credit and would like to sign up for a store card? If you have bad credit or no credit at all then a store credit card may be the best way to increase your chances of obtaining a cred it card. So what is you have been turned down for a store credit card? If you have been turned down for a store credit card then you can have your family member or other to add you as an authorized user. Many store credit cards offer users to become authorized to use a card. You can add someone to your (Authorized Buyer) account that may make purchases. They will be authorized to purchase on your Account; however, as the primary account holder, you are responsible for payments on all purchases. When you open an account you may add up to four total authorized buyers. So this may be a way to obtain a credit card for the time being till you can fix your credit. Abercrombie Store Card is a great example of a credit card that enables you to become an authorized user. Have you had trouble paying your credit cards off in the past. The you might want to pay closer attention to the best ways to payoff your credit cards quickly. With a Credit Card Calculator you can see exactly how long it will take to payoff your balance. Always keep track of your payoff and send in a specific amount to reduce your payoff time. This will reduce the amount of interest you will pay and save you money in the long run. Now you can apply for a credit card with the most confidence. 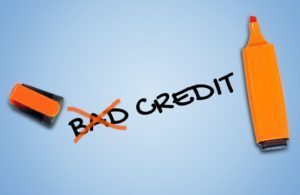 Bad Credit Offers – These cards are great for people with bad credit! If you are having difficulty getting approved for a traditional credit card then it may be best to apply for a Brandsmart USA Credit Card. With a Brandsmart card you can use it to purchase name brand items from electronics to furniture. They have name brand items that are very popular for todays standards. Another best bad credit offer is the Surge credit card by the Continental Finance Company.